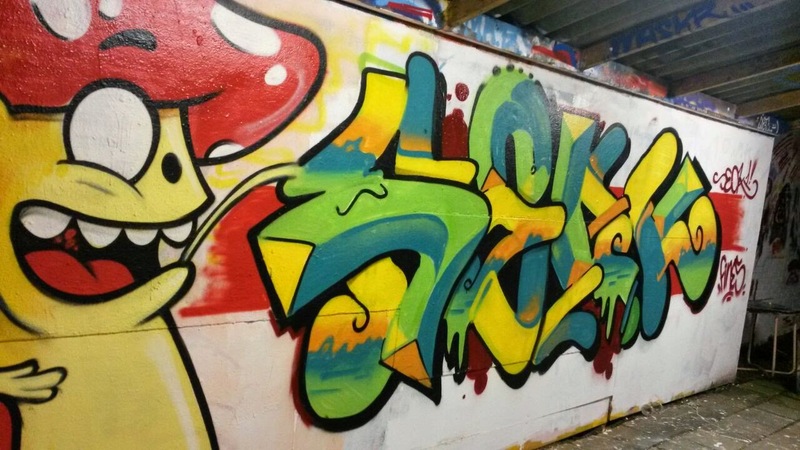 GRAFFITI BLACKBOOK SKETCH - MERRY X-MAS 2014! COMING SOON! 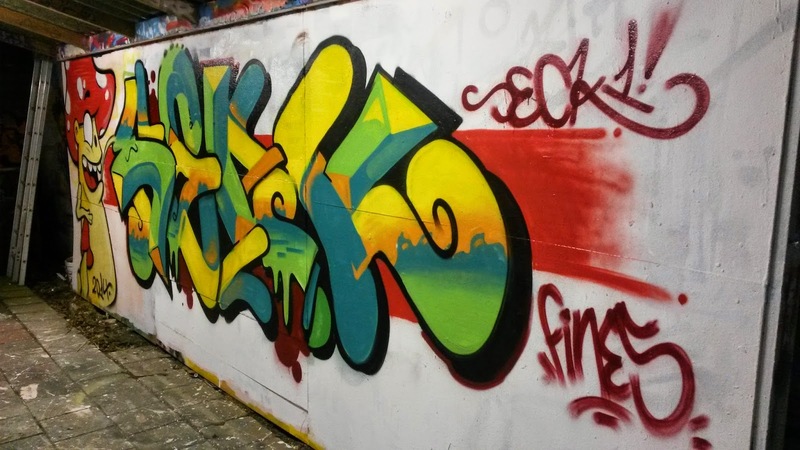 - DUTCH GRAFFITI TEMPLATE BOOK! HOUSEHOLD TYPOGRAPHY #1 - SHOE LACING! The last piece in Delft with Fines was such an success, that we decided to drop a piece together again, instead of visiting Utrecht for the release of the new Overrated Magazine. Fines had found a spot in Wilnis, at the Dorps Academie. He was able to paint there a couple of times before, so they were familiar with the fact that some guys come by, time by time, to paint a wall in the backyard. We only had an hour to finish this one but damn; What a nice spot! We even had a roof above our heads. They have a range of +/- 200 colors there, where we could choose from. All sponsored. Really, really awesome! I've kept it simple because we had the time limit, but when the hour reached its end, we even got some extra time to finish the last bits. So happy, the owner Jenneke is so supportive. She really made my day. This one is to be repeated! Thanks Fines and all people involved.. HQ pics soon. I really don't know if I put out some more besides schoolwork until next year.. Maybe I'll paint an christmas piece or so but I am not sure yet, so the best to all of you for 2015! Love!